2. Market fundamentalism: Our blind faith in free markets has been proven wrong. 3. Non-reciprocal, laissez-faire free trade. 4. Sovereign companies and Shareholder Value: CEOs have become responsible to their shareholders over their communities. 6. The Geopolitical Priority: Since World War II, we have subordinated our economic interests to geo-political ones. In a rapid series of quakes and tremors, the economic crisis that has been gathering over the last year has destroyed the cherished economic myths and guiding policy assumptions of the past fifty years. “De-coupling” is dead with a stake through its heart. The conviction that markets always optimize allocation of resources and are self-adjusting has proven disastrously false. Indeed, with most of the financial sector already in government hands and the Big Three begging for Washington’s backing, the issue is not whether America SHOULD have an industrial policy. It is what KIND of industrial policy or policies it ought to have. The causes will and should be long debated. But the more pressing problem right now is what to do. At the moment all the world’s governments are throwing money in as many directions as possible. For the U.S. this is inevitable and the right thing to do in the immediate term. However, it carries the seeds of further destruction and devastation if it is not tempered in the very near future. A great inflation and possibly stag-flation is in our future unless we adopt very new strategies. The only sustainable and long term viable path out of the darkness is to revitalize the U.S. productive base so that we produce at home more of what we consume and that we become an economy whose growth is much more driven by exports. In essence, America and China need to exchange strategies. 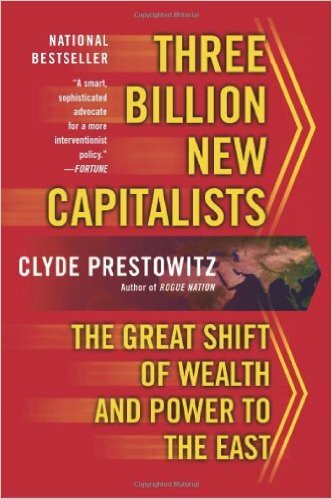 Clyde Prestowitz is the founder and President of the Economic Strategy Institute (ESI) where he has become one of the world’s leading writers and strategists on globalization and competitiveness and an influential adviser to the U.S. and other governments. He has also advised a number of global corporations such as Intel, FormFactor, and Fedex and serves on the Advisory Board of Indonesia’s Center for International and Strategic Studies. The New York Times has called Mr. Prestowitz one of the most far seeing forecasters of global trends. He was among the very first to warn of the approach of the recent economic crisis, the decline of the dollar, and the dangers of the global trade imbalances. 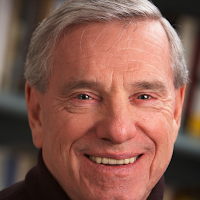 Prior to founding ESI, Mr. Prestowitz served as Counselor to the Secretary of Commerce in the Reagan Administration where he headed U.S. negotiations with Japan, Korea, the EU, Southeast Asia, and Latin America and served as a leader of the first U.S. trade mission to China. 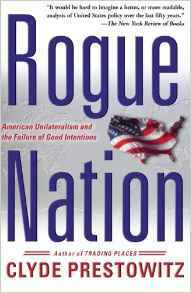 Subsequently, he became a Fellow of the Carnegie Endowment for International Peace and was appointed Vice Chairman of President Clinton’s Commission on Trade and Investment in the Asia-Pacific Region as well as a member of the Advisory Board of the U.S. Export-Import Bank. 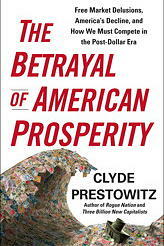 In addition, he was elected Vice Chairman of the Pacific Basin Economic Council, and has served on the Intel Policy Advisory Board, the Advisory Board of the Indonesian Center for Strategic and International Studies, the International Advisory Board of the American Management Association, and as Strategic Adviser to the Chairman of FormFactor Corp.
Clyde Prestowitz regularly writes for leading publications, including the New York Times, the Washington Post, Fortune, and Foreign Affairs. 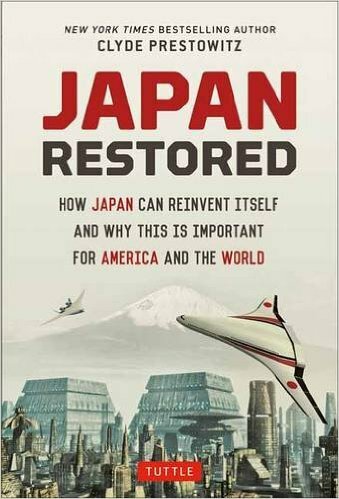 He is the author of the best-selling books,Trading Places,Asia after the Miracle, Rogue Nation, and the recent, Three Billion New Capitalists: the Great Shift of Wealth and Power to the East. Mr. Prestowitz has a B.A. with honors from Swarthmore College; an M.A. in East-West Policies and Economics from the East-West Center of the University of Hawaii; and an M.B.A. from the Wharton Graduate School of Business. He also studied at Keio University in Tokyo.